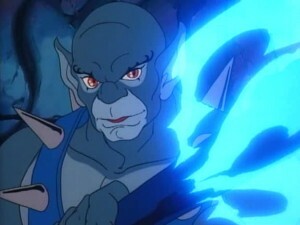 As far as cartoon villains go, Mumm-Ra is indubitably among the cream of the crop. The decaying devil priest with a spine-chilling voice and ruthless heart is nothing short of evil personified. Not only is his powerful ever-living form a nightmare for any hero, his immortality ensures that he can never truly be defeated. 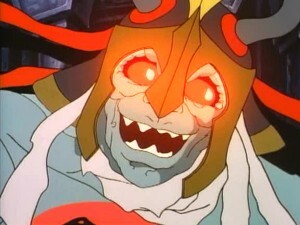 What makes Mumm-Ra an even more fearsome adversary is that his brains match his impressive brawn. With an almost infinite supply of sinister schemes brewing in his head, Mumm-Ra never fails to make the ThunderCats’ lives a living hell. 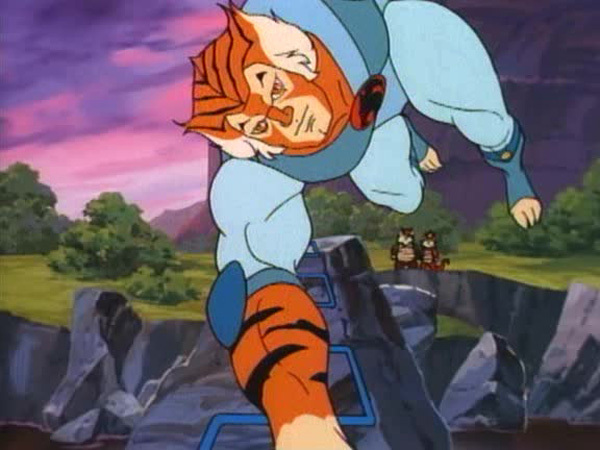 On some occasions, like this episode, he comes precariously close to obliterating the feline heroes from the face of Third Earth. Just like the waters of his new octagonal cauldron on New Thundera, Mumm-Ra’s mind is bubbling as well – bubbling with excitement as he puts his latest devious plan into action. Conjuring up a strange trinket which he dubs the Locket of Lies, Mumm-Ra orders Ma-Mutt to plant it in the Valley of the Snarfs. 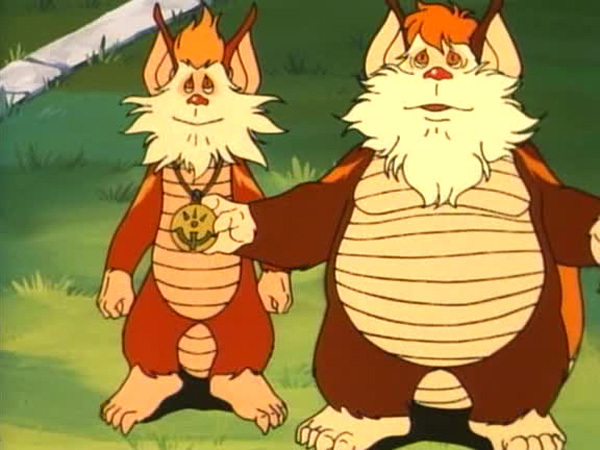 While on a stroll, Snarf Oswald and Snarf Eggbert find the strange locket and, suspecting it to be a part of the Treasure of Thundera, they inform the ThunderCats back on Third Earth. Thanks to the cat-powered engines of the Feliner, the Cats’ arrive on New Thundera in a jiffy and upon further inspection of the locket, deduce that it is some sort of compass. The feline foursome and the two Snarfs follow the flashing light of the locket to an unknown destination. Their journey is marked with some tuneful new music and beautiful animation. It is a joy to watch the ThunderCats letting their hair down and showing off their previously unseen acrobatic skills. Tygra’s zigzag bolo bridge and Panthro’s spiky somersault are particularly impressive. Struggling to maintain the pace of the adult ThunderCats, the two trailing Snarfs suggest that they carry on without them. The compass leads the Cats to some ancient ruins. 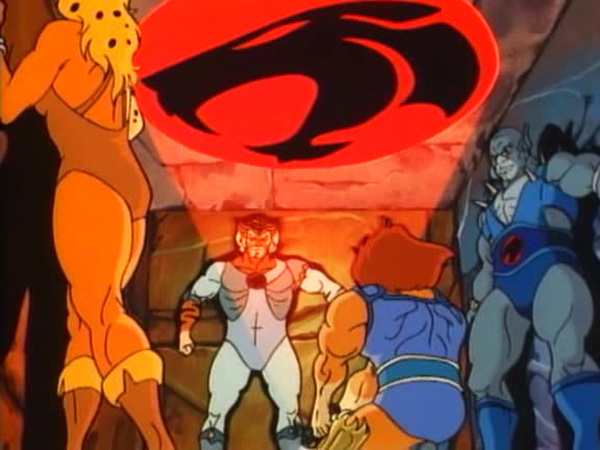 Before they can explore their surroundings, the ThunderCats fall through the ground and into a large chamber. As the heroes struggle to climb out, Mumm-Ra, in his ever-living form, makes a grand entrance to gloat over the success of his plot. Writer Bill Ratter does a fantastic job of showing off the powerful side of Mumm-Ra that had been toned down in many episodes. When Lion-O fires a bolt of energy from the Sword of Omens, the mighty mummy catches it with one hand as if it was a baseball and throws it right back at his adversary. 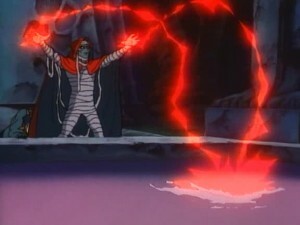 Leaving the ThunderCats in their predicament, Mumm-Ra flies back to his pyramid. The feline captives grasp the true danger of their situation when their every attempt to escape makes the walls of the chamber close-in even more. 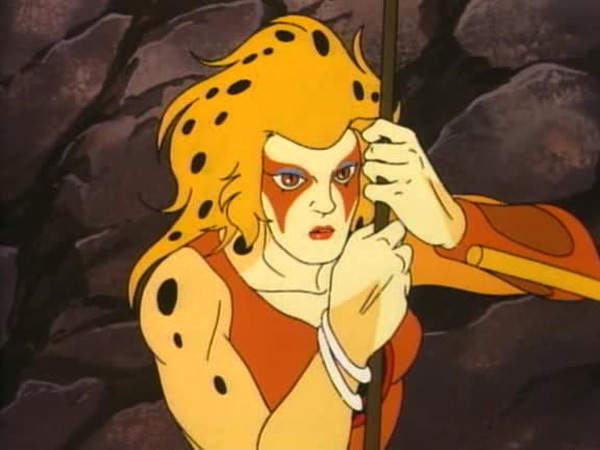 “Star Wars” fans will surely draw a parallel between the scene of the ThunderCats wrestling with the constricting walls and the trash compactor scene in “Star Wars Episode IV: A New Hope”. In the grim situation, Jaga appears to offer some wisdom. 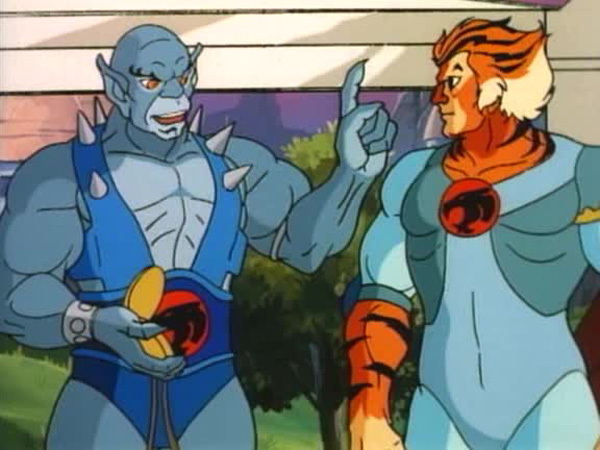 For the umpteenth time, Jaga reminds Lion-O that the Eye of Thundera is the source of the ThunderCats power and so Lion-O uses the cat signal to push the walls apart and free himself and his comrades. The title of this episode is perhaps its most peculiar aspect. 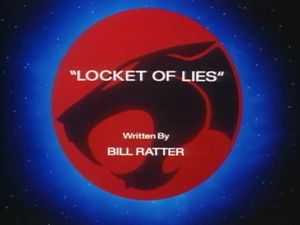 Upon hearing “Locket of Lies”, one would most likely assume that the story is about an ornament that would cause the wearer to only tell lies. 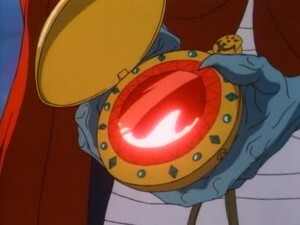 Strangely the locket does no such thing and is merely a compass to lead the ThunderCats into Mumm-Ra’s elaborate trap. Perhaps “Compass of Doom” would have been a more fitting title. The moral about friendship delivered at the end by the two Snarfs is out of place and hardly has any relevance to the main plot. 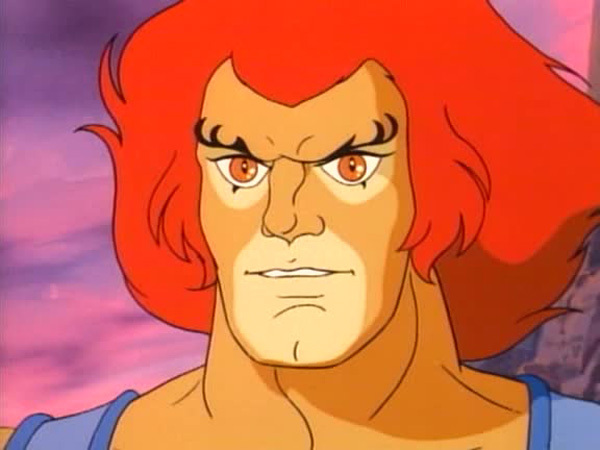 That coupled with the cliché resolution achieved courtesy of the Sword of Omens, are the two main flaws in this otherwise splendid, exciting, and beautifully animated ThunderCats installment. 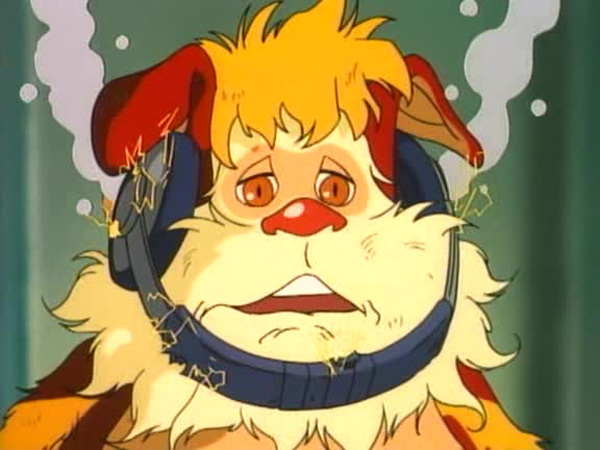 The strange elbow-grease powered Snarf communicator and Snarf’s own admission indicate that the technological advancement of the Snarfs is relatively low compared to that of the ThunderCats. It seems that not only does Mumm-Ra know ancient evil spells, but he is well versed in nursery rhymes as well when he recites his version of “Ding Dong Dell”! 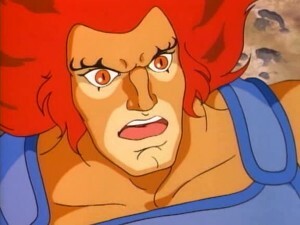 After they become trapped in the underground chamber, Lion-O says that he cannot summon help as there is no one on New Thundera. However, it has been shown in many previous episodes that the Cat signal is able to traverse great distances including that between far away planets. In a rare event, Panthro breaks the fourth wall when he says, “I guess I spoke too soon!”, and winks at the audience. 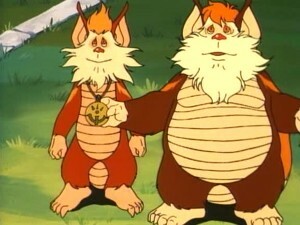 The Snarfs mention a native creature of New Thundera, the Wally and state that there are two kinds of these animals. However, the creature itself is never shown.